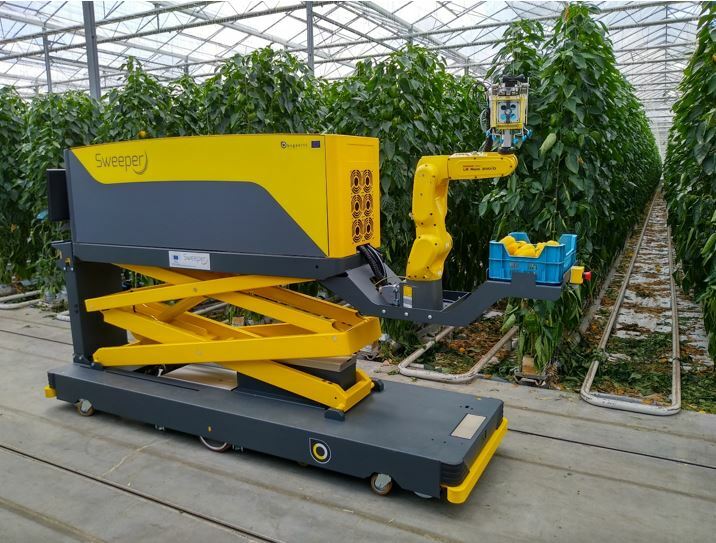 A consortium of seven researchers from four countries in the HORIZON 2020-funded Sweeper project is hard at work on a fully automatic robot that can sense, identify, classify maturity, and pick sweet peppers in a greenhouse that are ready for market. Efficiently, safely and quickly. The Sweeper project has an ambitious goal: to introduce the first-generation of greenhouse harvesting robots to the market. Does this mean that machines will take over our salad bowls? Not quite. Robots still have a long way to go before they can perfect all the tasks it takes to pick a ripe sweet pepper and bring it to our table. But researchers from across Europe are developing the technology that puts robots well on the way. 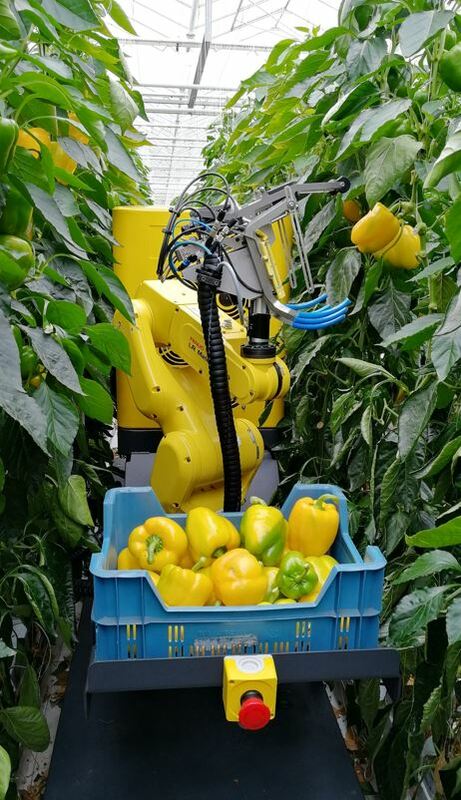 The Sweeper robot autonomously roams a greenhouse, “eye-balling” sweet peppers to check if they have reached optimal ripeness, and then plucks them off the plant and places them in a vat – all automatically. Lidar sensors guide the Sweeper through greenhouse rows. It stops along the row and then scans the plant with a RGBD sensor to identify peppers locations. When it does, the Sweeper approaches, takes a closer look, cranes its “head” with the attached camera and examines the fruit from many angles. If it determines the maturity of the sweet pepper is just right, the robot positions the saw and scoop on its “head” and cuts the fruit free so that it drops into the scoop. Then the Sweeper turns and places it in a collection basket. In just 24 seconds. Sounds pretty intuitive. If you’re a human. But imagine the coordination and collaboration it takes to get a robot to do all this. From hardware systems integration, software systems engineering, high-level robot control, and sensing to crop optimization and applied testing, the work is an intricate international cooperation. 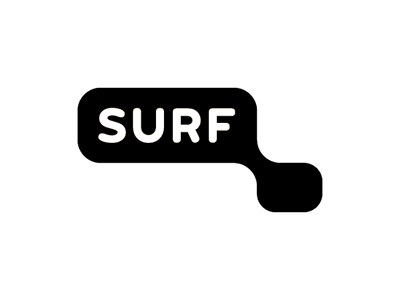 To get where they are today, the project leveraged the computing power of leading universities and industrial concerns and the networks that connect them. According to Prof. Yael Edan, from the Department of Industrial Engineering and Management at Ben Gurion University of the Negev in Israel, the Sweeper would never have been able to get off the ground, so to speak, without this. 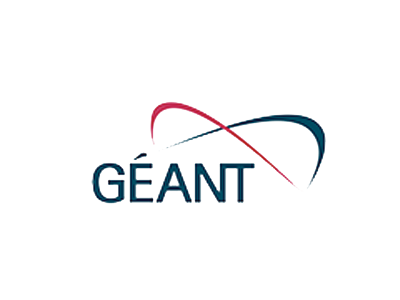 “The tremendous advances this research has made is dependent upon high speed networking and vast improvements in computing power and sensor technologies. Without it we could never do the benchmarking, sensing and mapping of the vast datasets required to bring the Sweeper to life,” she says. That means that team members spent a lot of time together in the greenhouse. Perhaps munching on delicious peppers… while contemplating how to borrow ideas from the Sweeper and apply it to similar crops. From farm to table via the Sweeper. Bon Appétit!